- We offered many program topics that almost no one attended. - We offered some programs that only older park visitors wanted. - We offered some experiences that only younger visitors wanted. - We offered programs or experiences that visitors attended, but for different reasons (perceived outcomes). 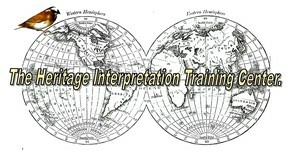 I felt that we (interpreters) offered interpretive programs for our weekly schedules on topics that WE liked or were interested in - never thinking about program topics or experiences that the visitors might be interested in. Two seasons of visitor survey research (surveyed over 4000 visitors) at the Ohio State Park I worked at, for my M.S. in interpretation (at The Ohio State University), I wanted to learn, among other things, what program topics the visitors were interested in. I surveyed 90 different program topics, including program topics we actually offered. I also wanted to learn why visitors actually attended programs I was offering. So what did I learn? program topics that the visitors actually wanted to attend or have an interest in. - Some program topics were preferred mostly by men. - Some program topics were preferred mostly by women. on Maslow's Hierarchy of Needs). Based on the results, and now 30 years of interpretive consulting work, I consistently think about just who the visitors/market groups are you want, and, what do THEY want? What products are you selling anyway? Thus the "visitor" analysis as part of our interpretive master planning work. If this course on better understanding your visitor's motivations for selecting and attending interpretive programs or experiences is something you could use, check out the course content below. You can start the course at any time and complete the course at your own pace. - E-Copy of Veverka textbook "Interpretive Master Planning". - Numerous handouts and articles on marketing for interpretation and visitor survey research. - Handouts on mass customization and markets of one. - YouTube video introductions for each unit. - You can call/SKYPE course instructor/coach when you have questions. The course units combine aspects of interpretive planning, motivational psychology, visitor survey research strategies, interpretive writing for marketing, and visitation tracking. Unit One - Interpretive Master Planning - the model of interpretive planning. Unit Two - Visitor motivational psychology - Maslow and visitor needs and motivations. Unit Three - Visitor survey research/questionnaire development and survey strategies. Unit Four - Timing is everything - when/where to offer interpretive experiences and program duration. Unit Five - Using the survey results - markets of one and mass customization. Unit Six - Creating new visitor-centered interpretive programs/services/experiences (mission, theme reviews and objectives). Interpretive program planning strategies. Unit Seven - Rethinking marketing - "if you advertise an interpretive program, tour or experience and you ask the visitors to "give you an hour or two of your time", or you charge for your programs or experiences, what benefits for attending the program or experience are you offering them in return? What's in it for them? Are you offering a $1.00 perceived experience for $10.00? Unit Eight - Interpretive writing for interpretive program/service flyer/web-based advertising. Unit Nine - Tracking long-term follow-up based on new interpretive program/services offerings. Are your visitor numbers increasing for interpretive programs or experiences?